The Borough operates a Woody Waste facility for the recycling of natural wood waste and leaves. Materials brought to the facility are ground into mulch, which is available for free to Borough residents. Leaves, twigs, branches, brush, bushes, shrubbery, vines, kindling, driftwood, and wood chips are all accepted at the facility. 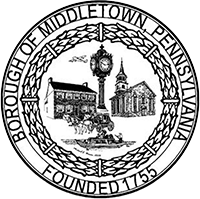 The Borough does not accept trash, grass or grass clippings, or construction debris (timber, paneling, shingles, beams, molding, shelves, doors, boards, lumber). Due to budget constraints, the Borough no longer offers curbside pickup of woody waste. However, in the event of a significant debris generating event, such as a major storm, the Borough will respond appropriately.